The ‘dancehall king’ Beenie Man not only has the remedy to produce smashing hits and keep the dancehall fans especially the females gravitating to his music but also has the power to stay in the No.1 spot on the charts. For six weeks his popular hit single ‘Wine Gal’ has held the number one position on the Hype TV Top 20 singles chart, on RE TV Dancehall Top 20 it is holding its third week at No. 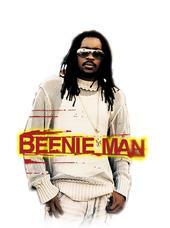 1 and on Richie B’s Dancehall Top 20 singles chart even though it has shifted had claimed the No. 1 title for three weeks. The versatile entertainer has since shot a medley video for ‘Gimme Likkle’ and’ Wine Gal’ that premiered recently on TVJ’s Entertainment Report. Base on the feedback, the reviews are tremendous for the deejay. In addition, two of Beenie Man’s singles that have not yet been released, ‘Gimme Likkle’and ‘Yuh Know Fi Wine’ and are being played pre-release, are already getting crazy hype in the dancehalls and from the huge response of forwards they are generating, there is no doubt they are heading for the number one slots on all major dancehall charts. Beenie Man is very active in the studios laying tracks for several singles expected to be released throughout the year also look out for his new album that is set to release soon which is on a major recording label that is not yet titled. The music industry can continue to look forward to hearing a lot more positive things in regards to his illustrious career.